Without a substantial, long-term increase in funding, sustained political support across multiple administrations and extensive international participation, the United States will not be able to send humans to Mars before the middle of the century and possibly not even then, according to a National Research Council report released Wednesday. The long-awaited report -- "Pathways to Exploration -- Rationales and Approaches for a U.S. Program of Human Space Exploration" -- was ordered by Congress in 2010 to review "the goals, core capabilities, and direction of human space flight." The 285-page study looked into the technologies required for deep space exploration, political support, funding requirements, scientific objectives, international cooperation and feasible mission scenarios. The review panel concluded sending humans to Mars should be the long-range goal of NASA's human exploration program, but only if the nation's political leadership commits to long-term, sustained support. "For the foreseeable future, the only feasible destinations for human exploration are the Moon, asteroids, Mars, and the moons of Mars," the report said. "Among this small set of plausible goals for human space exploration, the most distant and difficult is a landing by human beings on the surface of Mars -- requiring overcoming unprecedented technical risk, fiscal risk, and programmatic challenges. "Thus the horizon goal for human space exploration is Mars. All long-range space programs, by all potential partners, for human space exploration converge on this goal." The report did not recommend any specific mission architecture, but clearly favored a return to the moon as the foundation of a stepping-stone "pathways" approach to Mars. 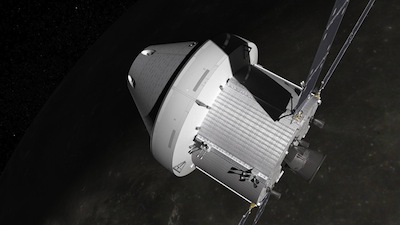 Near-term moon missions presumably would attract more international cooperation and public support than the Obama administration's current plan to bypass the moon in favor of a near-term asteroid capture mission to perfect the technologies needed to reach the red planet. As for the rest of the solar system, "the development challenges associated with any solar system destinations beyond the Earth-Moon system, Earth-Sun Lagrange points, near-Earth asteroids, and Mars are profoundly daunting, involve huge masses of propellant, and have budgets measured in trillions of dollars," the report concluded. Getting to Mars will be challenge enough, especially given the panel's conclusion that public support for space exploration, while generally positive, does not appear to extend to greatly increased budgets. Panel co-chair Mitch Daniels, former governor of Indiana, said the committee members "recognize that many of our recommendations will be seen by many as unrealistic, to which we would only observe that absent changes along the lines we are recommending, the goal of reaching Mars on any meaningful timeframe is itself unrealistic." Even so, he said the panel members are optimistic about the future. "We believe the public will support it, we believe the rationales justify it, we believe the achievement would be monumental," he said during a briefing. "But we think there is really one, and possibly only one way to get there. We've offered it up in this report." A key theme in the report was sustained multi-decade funding. Any program aimed at Mars must be adequately funded or "it will not succeed," the report said. "Nor can it succeed without a sustained commitment on the part of those who govern the nation -- a commitment that does not change direction with succeeding electoral cycles. Those branches of government responsible for NASA's funding and guidance are therefore critical enablers of the nation's investment and achievements in human spaceflight." John Logsdon, a space historian and former director of the Space Policy Institute at George Washington University, said the NRC's review is "another, and probably the most frank, in the line of reports that say we can't get there from here the way we're going. The word 'unsustainable' appears in this report, once again." The International Space Station cost approximately $150 billion spread out over three decades, including the cost of shuttle assembly flights. In comparison, the NRC committee said the cost of a human flight to Mars would be two to four times the cost of the space station, or the equivalent of 75 to 150 "flagship" robotic missions in the $1 billion to $2 billion price range like the Mars Curiosity Rover and Cassini Saturn orbiter. Assuming NASA's budget is adjusted for inflation only, and assuming a Mars program cost of around $400 billion, "a pathway to Mars cannot be achieved before roughly 2060," the panel concluded. "An alternative way to look at this information is that to achieve a landing prior to 2050 and still be affordable, the pathway to Mars would have to be technically feasible and cost less than (about) $220 billion." 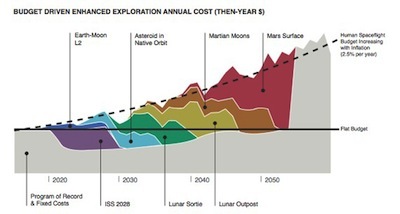 With budget increases limited to matching inflation "there are no viable pathways to Mars" in the near term, the report says. "A continuation of flat budgets for human spaceflight is insufficient for NASA to execute any pathway to Mars and limits human spaceflight to LEO (low-Earth orbit) until after the end of the ISS (International Space Station) program." NASA's human spaceflight budget would need an annual increase of 5 percent or more to "enable pathways with potentially viable mission rates, greatly reducing technical, cost, and schedule risk." The need for sustained political support was cited repeatedly, a reminder of the turmoil NASA has experienced across the Bush and Obama administrations, including two major policy changes. At the turn of the century, NASA was focused on building the International Space Station and planned to operate the space shuttle through 2020. But on Feb. 1, 2003, the shuttle Columbia burned up during re-entry and the following January, President Bush ordered a change of course. NASA was told to finish the space station and retire the shuttle by the end of the decade and to focus instead on building new rockets and spacecraft for a return to the moon in the early 2020s. A few years later, NASA endured another jarring change when the Obama administration cancelled the Constellation moon program, concluding it was too expensive and unsustainable. In its place, NASA was directed to build a new heavy lift rocket to boost the Constellation program's Orion crew capsule into deep space for flights to a nearby asteroid in the mid 2020s with an eventual flight to Mars in the mid 2030s. At the same time, NASA was directed to fund the development of commercial spacecraft to ferry astronauts to and from the space station. More recently, the Obama administration has called for an asteroid retrieval mission, using a robotic spacecraft to capture a small asteroid and tow it back to the vicinity of the moon where astronauts in Orion spacecraft could carry out a hands-on investigation. The Obama space policy bypasses the moon and views the International Space Station and the asteroid retrieval mission as stepping stones for eventual Mars exploration. 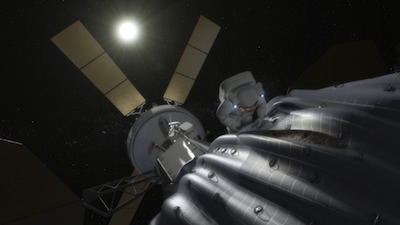 The NRC report does not favor any specific mission architecture, but it noted that the asteroid retrieval mission, or ARM, has failed to attract widespread support from the scientific community or the public and that international interest in a cooperative venture has not yet materialized. "While this report's recommendation for adoption of a pathways approach is made without prejudice as to which particular pathway might be followed, it was, nevertheless, clear to the committee ... that a return to extended surface operations on the Moon would make significant contributions to a strategy ultimately aimed at landing people on Mars." A return to the moon "is also likely to provide a broad array of opportunities for international and commercial cooperation." The report also lamented current U.S. policy that forbids NASA from engaging in cooperative space ventures with China. 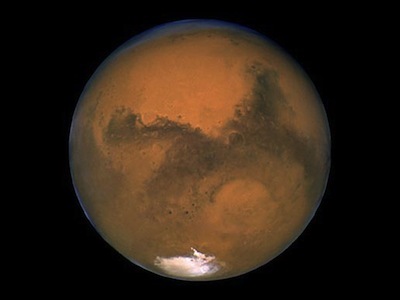 An eventual human mission to Mars will require extensive international cooperation, the report said, on a scale that greatly exceeds that of the International Space Station project. "It is evident that U.S. near-term goals for human exploration are not aligned with those of our traditional international partners," the report said. "While most major spacefaring nations and agencies are looking toward the Moon and, specifically, the lunar surface, U.S. plans are focused on redirection of an asteroid into a retrograde lunar orbit, where astronauts would conduct operations with it. "It is also evident that given the rapid development of China's capabilities in space, it is in the best interests of the United States to be open to its inclusion in future international partnerships. In particular, current federal law preventing NASA from participating in bilateral activities with the Chinese serves only to hinder U.S. ability to bring China into its sphere of international partnerships and reduces substantially the potential international capability that might be pooled to reach Mars." China aside, NASA said in a statement that it welcomed the NRC report, saying it "complements the agency's on-going approach." "NASA has made significant progress on many key elements that will be needed to reach Mars, and we continue on this path in collaboration with industry and other nations," the statement said. "We intend to thoroughly review the report and all of its recommendations."